Cowgirls, we have your back (or really your pants!) covered. 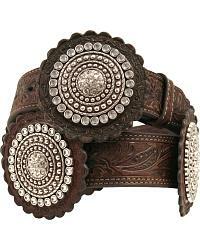 At Sheplers.com we have the best selection of women's belts and belt buckles in all your favorite styles and at sale prices that cannot be beat. 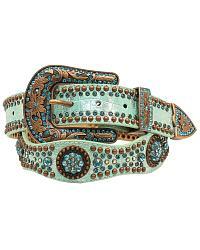 Choose from western belts, cowgirl belts, country belts, rhinestone belts, concho belts and more. 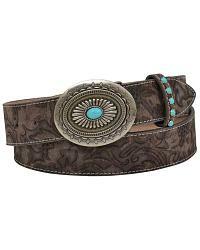 All of our women's belts come from loyal cowgirl brands like Ariat, Blazin Roxx, Justin, Nocona, and Tony Lama. 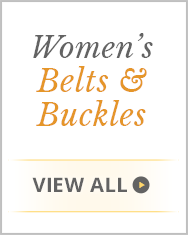 So you know you are getting the highest quality leather and a belt that will last. 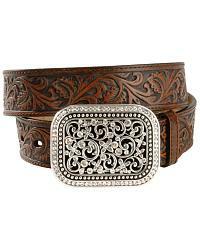 Looking to change up your the look of your belt? 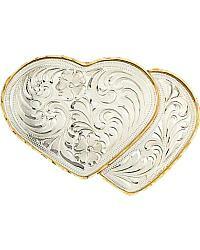 Check out our range of belt buckles for women, made from quality metals from brands like Montana Silversmiths & Nocona. Then finalize your outfit with your favorite pair of women's jeans.